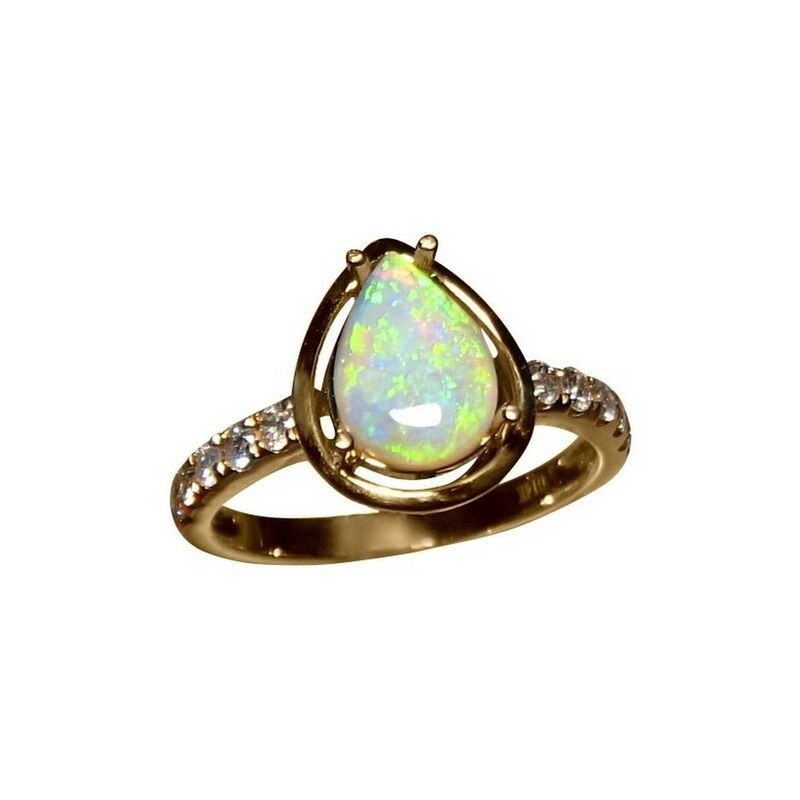 A Crystal Opal and Diamond ring with a pear cut Lime Green Opal accented with 2 mm Diamonds on the band in 14k Gold. In stock and ready to ship. 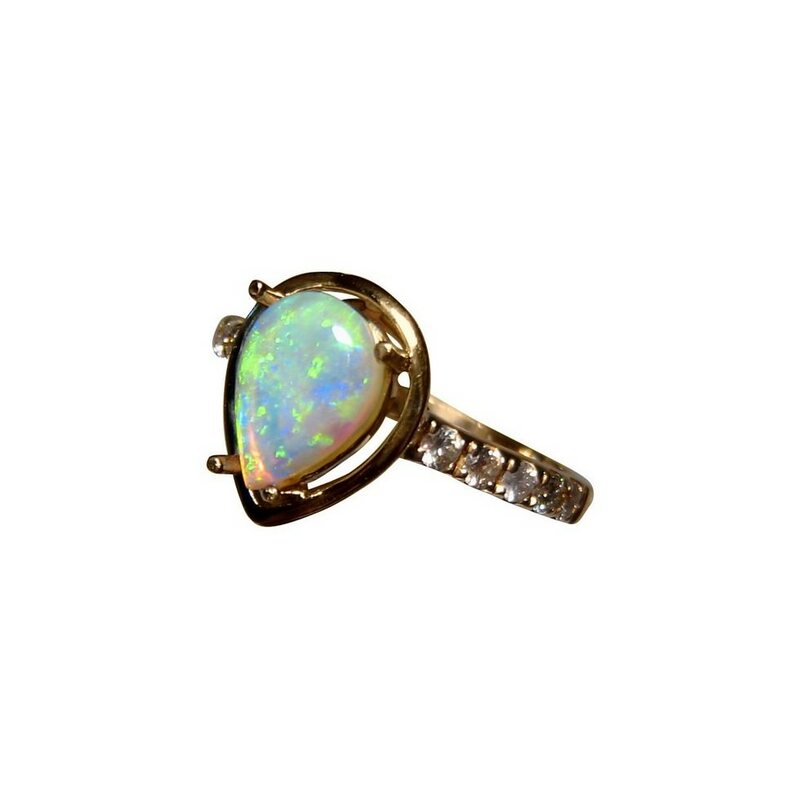 An elegant Opal ring to wear at any time and could be considered for an engagement ring. 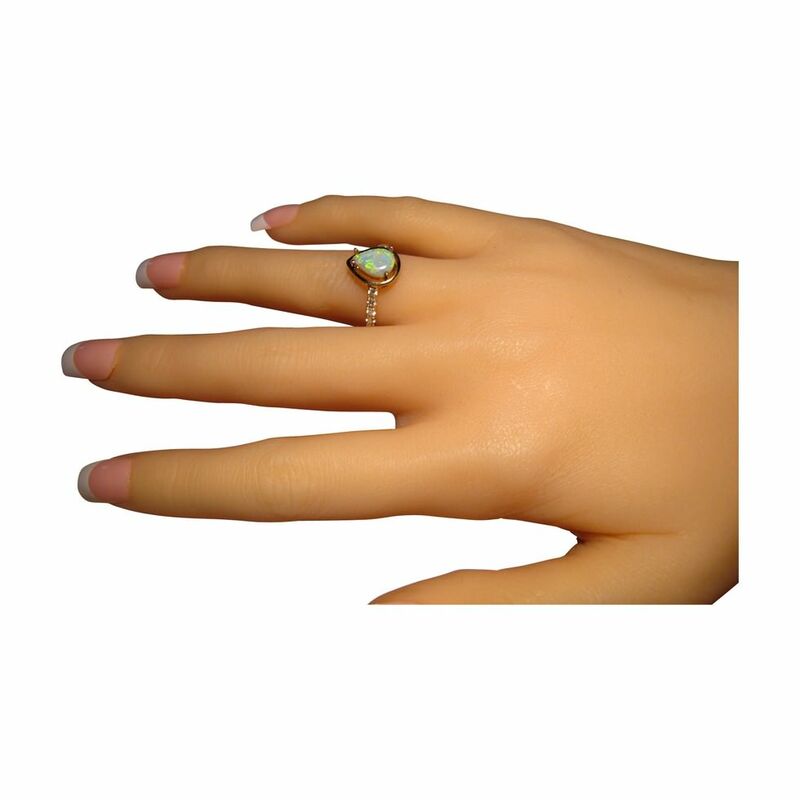 The Coober Pedy Crystal Opal is pear cut and shows bright Lime Green in a lively play of color which the video gives some indication although this ring is best viewed in person. There are ten Diamonds in total - five on each side on the band only - with each Diamond of very good quality and size adding plenty of sparkle. 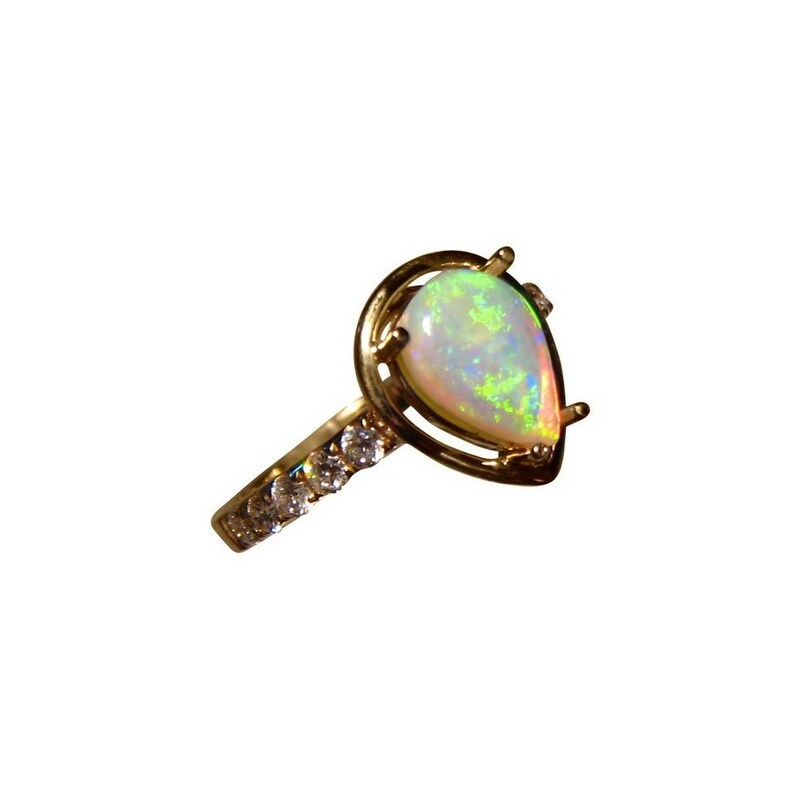 The Opal is shown in a 14k Yellow Gold ring however as it is not yet secured, the ring can be made in White or Rose Gold. 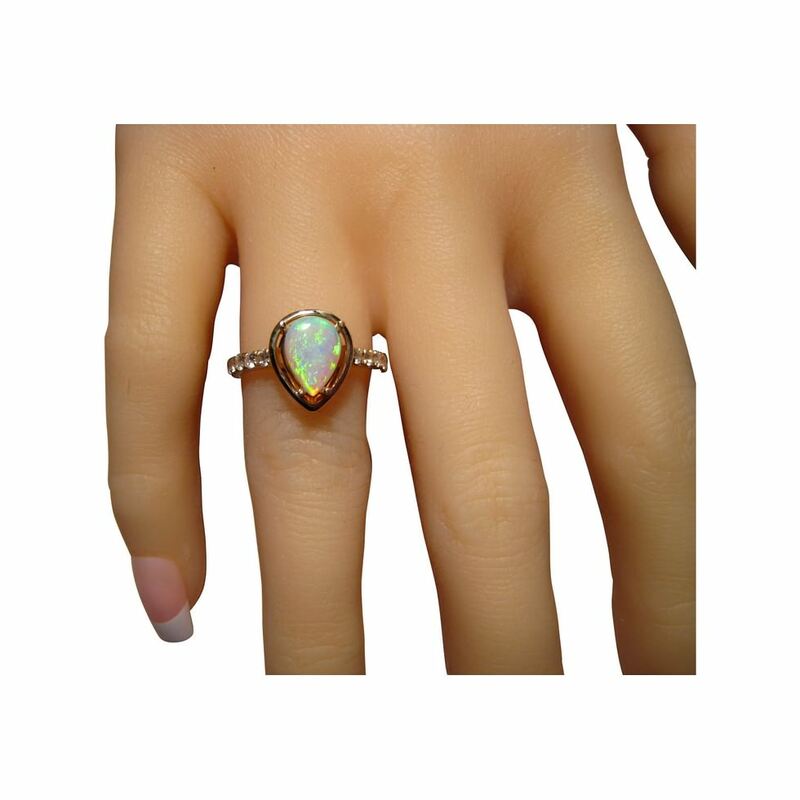 If you prefer a different setting to the one shown or even a different Opal or gemstone, contact through this product with your preferences for a no obligation quote. This ring is ready to ship as advertised or will take about 21 days for any other ring size or change of Gold color.